On the streets of ever busy Kabalagala, two story hungry animals roam looking for food in garbage loads desperately. 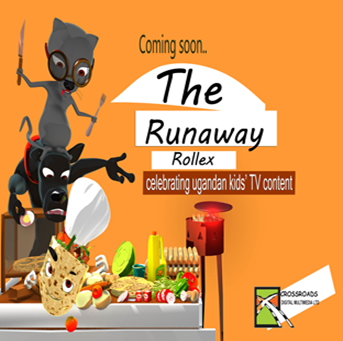 They end up buying a fat and hot Rollex, when they are about to eat it, the Rollex runs away, jumps on a boda and off into the swamp, where it ends up into the hungry pigs mouth SPLAT!! !